Funding and technical assistance (TA) will soon be available from the federal government to help your organization rigorously evaluate your fatherhood program. While competition to secure funding from this source is likely to be fierce, technical assistance should be readily available to help your organization evaluate your program with existing funds and better position your program for funding from public and private sources. 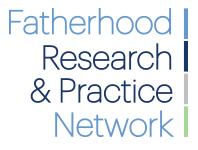 For the past several months, I have represented National Fatherhood Initiative (NFI) on the steering committee of the Fatherhood Research and Practice Network (FRPN), a collaboration of some 50 leading researchers and practitioners dedicated to increasing father involvement in the lives of children. My primary role is to provide a voice for the thousands of practitioners who interact with fathers and families on a daily and weekly basis. I will use my research and social science knowledge, my own and NFI's years of experience building the capacity of organizations to effectively serve fathers, and knowledge of the challenges faced by practitioners to ensure that the FRPN is a valuable resource. The FRPN will provide approximately $1.2 million in funding that it will release in a series of Requests for Proposals (RFPs) over a three-year period. It will fund evaluations of programs that aim to increase paternal engagement and parenting skills; improve fathers’ ability to provide economic support; and increase parenting time, father-child contact, positive co-parenting and healthy relationships. The first RFP should be released toward the end of the summer with funded projects to begin in the fall. If you are not the decision maker when it comes to pursuing funding of this kind, the first step is to get the commitment of the decision maker to pursue this funding, or at least to explore it. If you secure a commitment, find a researcher with experience evaluating fatherhood or family-strengthening programs. An academic-based researcher with this kind of experience will strengthen your organization's position to receive funding. Choose a program that has had, at the very least, some preliminary evaluations done of it. Funders are more likely to fund evaluations of programs that have had at least some preliminary evaluations that show positive/promising results. Familiarize yourself with the findings of the evaluations so that your proposed evaluation will build on previous results (i.e. not duplicate them). Dedicate as much of the funding as possible to the evaluation. Consider "donating" staff time to manage the program-management and fiscal aspects of the grant. Consider donating program materials and other resources necessary to run the program (e.g. curriculum materials and office space). It's possible that one or more of the RFPs will require that funds be dedicated to evaluation-only activities and resources, thus prohibiting the use of funds for staff time and other non-evaluation activities (e.g. space in which to conduct your program). Ensure that the decision maker is willing to donate staff time and resources, if necessary. Even if not required, donating staff time and resources should strengthen your position to receive funding. Identify and approach another funder(s) willing to supplement the funds provided by the FRPN. It's also possible that one or more of the RFPs will require another funder(s) participate and support the costs of the evaluation. Even if not required, bringing another funder(s) to the table should strengthen your proposal. If you can secure a commitment before the RFP is released, you'll be in great shape. The collaborative will also build research capacity by providing a variety of TA including one-on-one consulting services, mentoring and peer support as well as web-based communication platforms and resources. An announcement of FRPN consulting services and mentoring/peer support opportunities will be issued in late 2014/early 2015. To keep abreast of the latest developments and schedules for the RFPs and TA, visit the website of the FRPN. If you decide to include NFI's programs in your proposal, visit our website for descriptions of our programs and evaluations of them. Don't hesitate to contact us if you need information on our programs that you can't find otherwise. Do you have data to prove your fatherhood program is effective? Have you evaluated your fatherhood program?